In today’s post, environmental writer Madison Jones tackles the basics of genetically modified organisms, or GMOs, and why exactly there is such a debate over the growth and promotion of this new type of food and fuel source. Although a biology or bioengineering degree can prepare scientists to work with GMOs, it cannot tell them whether they should or not. 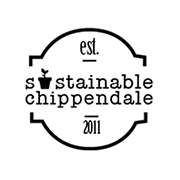 Amidst the arguments in favor of and against GMOs are the effects GMOs have on consumers, a topic recently addressed by a Sustainable Chippendale post about how food choice and quality can affect student behavior and productivity. For the last three decades, controversy has surrounded the development, propagation and promotion of genetically modified organisms (GMOs). Advocates claim that GMOs solve global food shortages, while opponents argue against the notion of ‘improving’ upon naturally occurring processes. And in the middle of this contentious debate lies the ever-important concern about potential health risks – a topic that GMO publications have thus far avoided. A wide array of GMOs exists today. Some GMO crops – such as rapeseed, flax, cotton, soybean, corn and sugarcane – are resistant to pesticides or herbicides. Others are modified to contain higher amounts of certain vitamins and nutrients, one example being rice, in which Vitamin A levels can be increased using human proteins. Fruits and vegetables can also be genetically engineered; these include tomatoes designed to resist rotting, papayas that stave off viruses, peas that cause allergic reactions in mice and sweet corn that secretes insecticide. Genetically modified meat and dairy products are produced when animals are given modified feed. And some GMOs indirectly provide food; one example is the modified canola plant, which not only produces oil but also provides nectar to honey bees, which in turn produce GM honey. Notably, the GMO industry has proven highly lucrative in recent years. 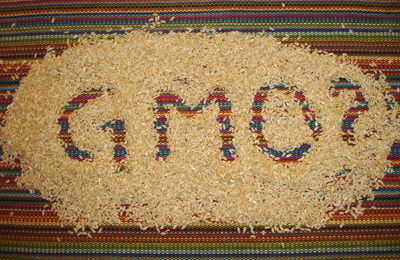 In the United States alone, 154 million acres have been reserved for GMO production. As a result, more than 80% of processed food in the United States contains some form of GMO. Though the GMO industry has notoriously shied away from publishing data that assuages these concerns, the FDA has yet to characterize modified foods as unsafe. Until this occurs, any ‘health risks’ are considered somewhat unsubstantiated. Free truckload of mulch for our verge gardens!! Minimising your impact on the environment when on holidays!